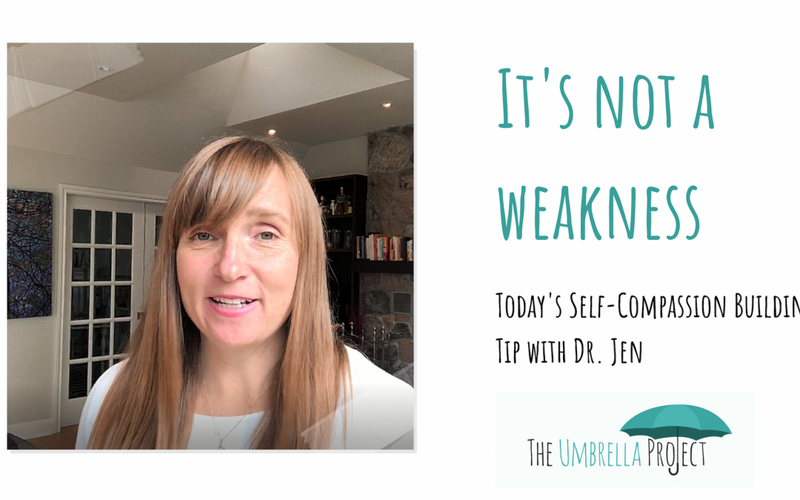 Today, Dr. Jen shares a very vulnerable and important message. That message is to tie our self-esteem back to the intention behind our actions. Not the outcome! Listen in to learn more. You might end up thinking a little differently or find something to add to your parenting skills ? Watch the video below or on our Facebook Group HERE. When we suffer, our brains tend to associate this bad feeling with failure. The more we recognize that the experience of suffering is normal and disconnect it from failure, the better we will be at being kind to ourselves. 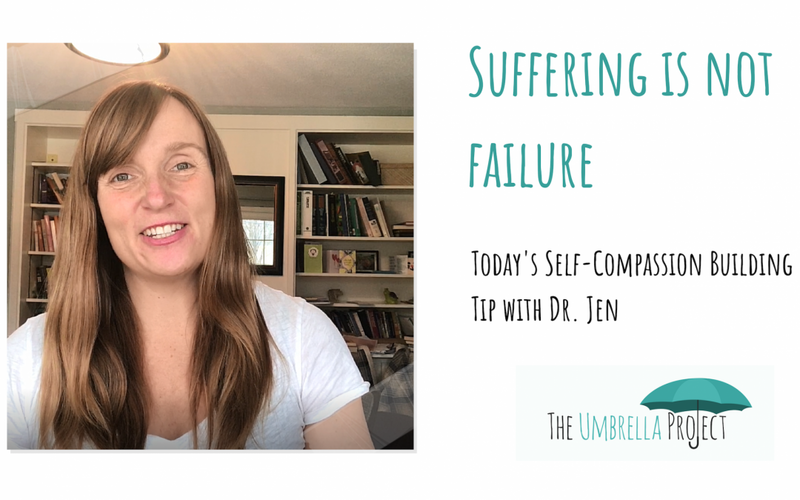 Listen in with Dr. Jen to learn more and further build your self-compassion this week! Watch her video below or join our Facebook Group HERE. At a recent conference, Dr. Jen was inspired to hear Tom Bilyeu share his life lessons. Tom is the co-founder of Quest Nutrition and an American entrepreneur. Tom shared that the only type of person whose ego is resilient to failures and bumps along the way is the learner. Try to instill the spirit of learning and joy in overcoming obstacles with your child. It’s amazing what this learner persona can do to preserve your ego and help you take on bigger challenges. 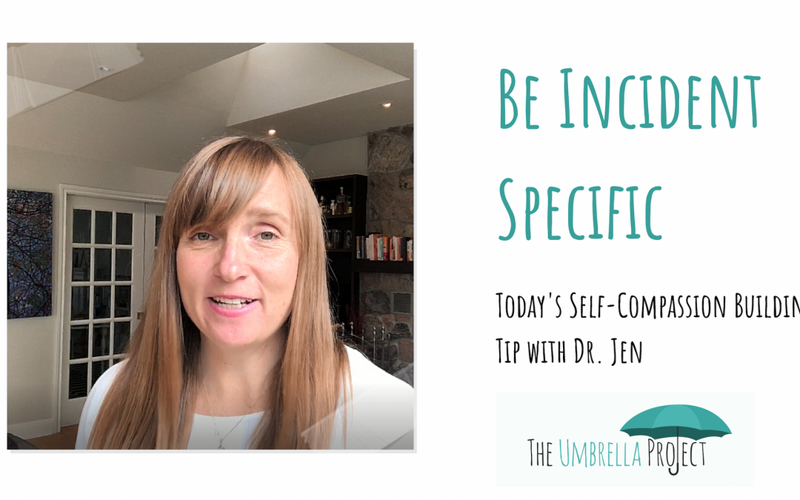 Learn more in the video with Dr. Jen below or on our Youtube channel. Today’s tip for building self compassion in your kids is to remember that we all have an inner commentary, our kids included. This commentary tells us what’s good and what’s bad. Our inner commentary is also very informed by our parents. 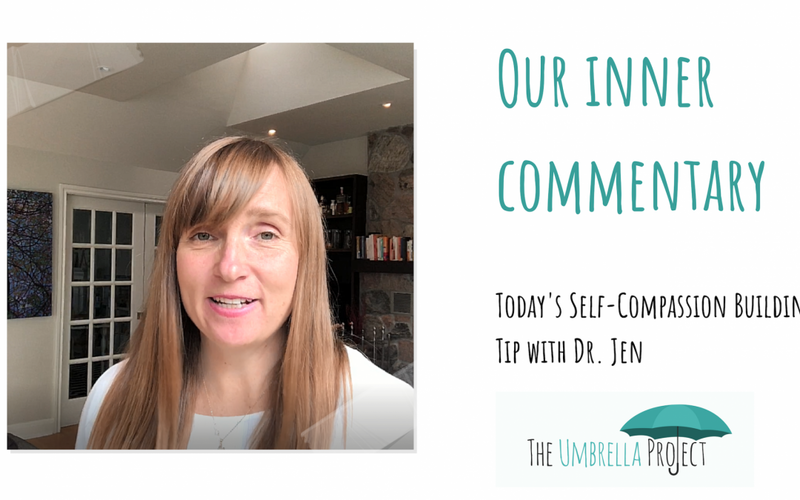 Listen in as Dr. Jen explains more and highlights the importance of honesty and ego to our inner commentary. Watch the full tip below or join our parenting Facebook Group to view it HERE. A very common belief in our society is that we can effectively motivate ourselves to do better through CRITICISM. This is wrong. Having an inner critic who notices the things that we don’t do well is like having a bully in our lives. It hurts our wellbeing and our children’s wellbeing. Instead, help your child to create an inner best friend for true strength and self-compassion. Learn more with Dr. Jen below or on our Youtube channel. When we feel like we have done something wrong, we can take ownership for it and move on. When we feel like we are a bad person, it is much harder to take ownership. This perspective also sinks deeply into our sense of self, damaging our wellbeing.